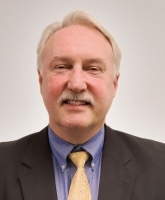 David Kennedy is Business Development Manager at VAC-U-MAX, a worldwide leader in vacuum conveying systems for handling difficult-to-convey powders and other bulk materials, and industrial vacuum cleaning systems for high volume recovery of many materials including combustible dusts. Mr. Kennedy's career at VAC-U-MAX spans 25 years, beginning as sales manager for VAC-U-MAX's Industrial Vacuum Cleaning Division where he developed plant safety and OSHA regulation experience. Mr. Kennedy has an additional 14 years of global sales and systems application experience in conveying and filtration for the chemical, petrochemical and general manufacturing industries.